A few years ago Hal Willis, a scientist from the University of California, Santa Barbara, resigned from the American Physical Society after 67 years as a member, citing the global warming/climate change issue and the blind allegiance to global warming theory by so many of the Society’s members, as well as the organization’s failure to challenge these members in the name of true scientific investigation, and citing trillions of dollars of research funding as a major reason the practice of true science on climate change has been replaced by ideological advocacy. Of the climate change issue Willis said, “It is the greatest pseudoscientific fraud I have seen in my long life as a scientist.” His position has support from other scientists, among them Dr. Ivar Giaever, a 1973 Nobel Prize-Winner for physics. Dr. Richard Lindzen is emeritus professor of Atmospheric Sciences at MIT. Citing the growing shrillness of the cries about “global warming” during his 30 years there, during which time he says “the climate has changed remarkably little,” he notes that the less the climate changes, the louder the warnings of climate catastrophe become. In a recent video presentation by Prager University, he said that participants in the climate change debate fall into one of three groups. Group One, he says, is associated with the scientific part of the United Nations Intergovernmental Panel on Climate Change (Working Group 1), and are scientists that generally believe recent climate change is due to burning fossil fuels, which releases CO2 (carbon dioxide) and might eventually dangerously harm the planet. Group Two is made up of scientists who, like Lindzen, don’t see the problem identified by Group One as an especially serious one. 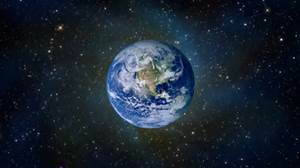 They say there are many reasons why the climate changes – the sun, clouds, oceans, the orbital variations of the Earth, as well as a myriad of other inputs, none of which are fully understood. The Director of the Center for Industrial Progress, and author of The Moral Case for Fossil Fuels, Alex Epstein, shows us in a Prager University video presentation that contains thorough sourcing for his assertions that burning fossil fuels has improved the lives of millions in the developed world by helping solve their biggest environmental challenges, purified their water and air, made their cities and homes more sanitary and kept them safe from potential catastrophic climate change. Could we have built reservoirs, purification plants, and laid networks of pipes to bring clean water to homes without fossil fuels, he asks? Fossil fuels can do the same for those in the developing world, if the powers that be will allow it. More fossil fuel use equals more clean water, he said. He further shows that despite an increase in fossil fuel use from 1.5 billion tons in 1970 to around 2.0 billion tons in 2010, emissions dropped from about 300 million tons to about 150 million tons during the same period. This resulted from using anti-pollution technology powered by … fossil fuels. A large segment of the public has bought into the “we are killing our environment” idea put forth by the climate alarmists, and now meekly accept it when the United Nations and their own government advocate harmful solutions to climate change, ignoring the mounting pile of contrary data. Consequently, the economic damage done to regions of the U.S. and the thousands of American workers put on the unemployment line by the foolish policies of the Obama administration basically are accepted as necessary. A strong case has been made that fossil fuels aren’t significantly harmful, and that they have been and will be extraordinarily helpful to the people of the world, if only we will listen.